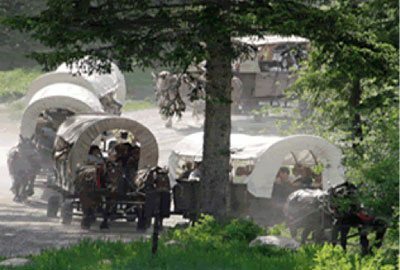 Experience a never-to-be-forgotten western adventure in covered wagons up beautiful Cache Creek Canyon. 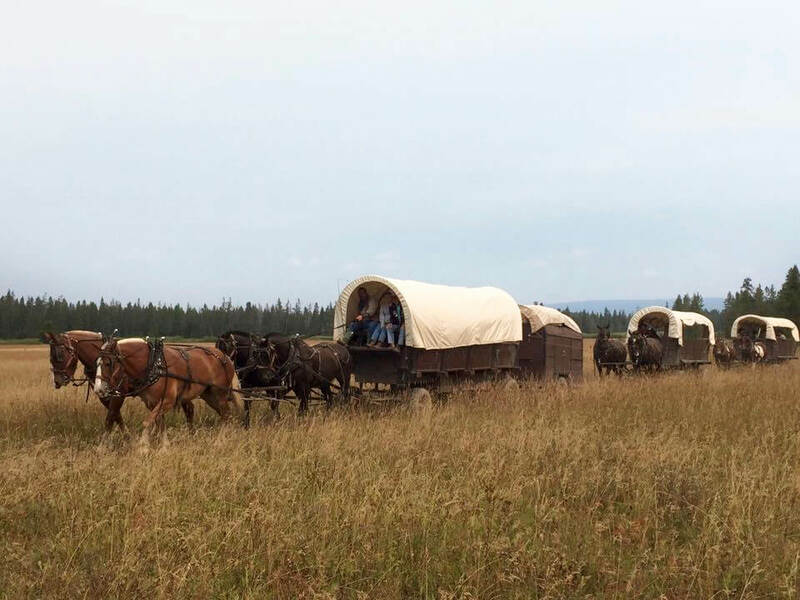 On your trip to the campsite, the wagons follow along a clear mountain stream that flows through the majestic pines of the Bridger-Teton National Forest. Watch out, you never know who you’ll meet along the trail! At camp, the aroma of a cowboy-style, Dutch-oven dinner will tantalize your taste buds. 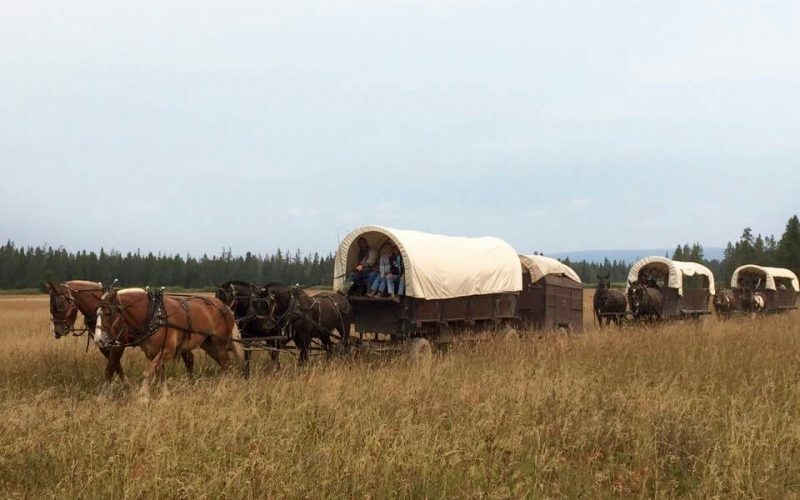 Then, sit back and relax to the sounds of music and laughter as our cowboys take the stage to entertain you with some of the finest western music this side of the Tetons.